Vera Twomey is outside Leinster House at this moment. THE MOTHER OF a young girl who suffers from Dravet’s syndrome has told of her anger at being “snubbed” by Health Minister Simon Harris. Vera Twomey is currently outside Leinster House and said she is committed to staying there in the cold until Harris or his people spoke to her. Twomey, whose daughter Ava has a very rare form of epilepsy, said she was upset when it was claimed Harris had the ability to authorise a ministerial exemption, which would entitle Ava to use cannabis without fear of prosecution. Twomey claims she was told of the minister’s ability in a meeting with the Health Products Regulatory Authority (HPRA) this afternoon. The Department said an Irish registered doctor can apply to the Minister for a licence for a cannabis-based product for an individual named patient, under their care. Speaking to TheJournal.ie, Twomey said she feels like she has been lied to and said the Minister “doesn’t want to know” anymore. She said: “We had a meeting with HPRA today. We have been in the middle of applying for a compassionate licence for the use of medicinal cannabis. We were then told that there is a thing called a ministerial exemption, which allows Simon Harris to authorise the use of cannabis. We had no idea that was available. 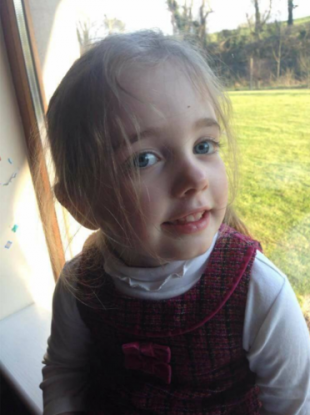 We heard that a child in Ireland has been granted this exemption and we feel Ava has been left behind. Twomey, who made headlines late last year as she started a walk from Cork to Dublin to raise the plight of her child, said she has been ignored by the Department of Health. “Harris got me to stop my walk and said Ava’s case would be dealt with. I’ve no option but to stay outside until someone talks to me. What else can I do,” Vera added. The Department of Health has said Minister Harris has met with Vera Twomey on a number of occasions and “is eager to be supportive in any way that is open to him”. Minister Harris is very aware of the situation facing Vera and her daughter, Ava, and is eager to be supportive in any way that is open to him. He has met with Vera on three occasions as well as speaking to her on the phone. He has made his officials available to her on an ongoing basis and asked them to arrange a meeting with the Health Products Regulatory Authority for her, which has now taken place. He has also instructed his officials that any application received via the licence process outlined below should be assessed immediately on receipt. A spokeswoman for the department said: “The position is that cannabis-based products are strictly controlled under the Misuse of Drugs Acts, 1977 to 2016. The appropriateness of any particular treatment is a matter between the patient and their doctor and the Minister has no role in this process. “This information has been provided to individuals who have applied directly to this Department for information, including the Twomey family, and has been stated publicly by Minister Harris on a number of occasions. To date only one such application from a doctor has been received. Email “Mother of child with epilepsy vows to stand outside Dáil until Simon Harris talks to her”. Feedback on “Mother of child with epilepsy vows to stand outside Dáil until Simon Harris talks to her”.